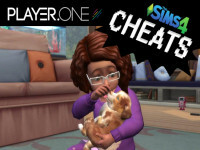 This page contains a list of cheats, codes, Easter eggs, tips, and other secrets for The Sims 4 for PC. These are mood buffs available to be used with the "sims.add_buff" cheat command. Quickly change the curfew of the current household. Valid values for are 19, 21, and 23. These codes require you to enable testingcheats. These will unlock perks used in retail stores, so make sure you are actively using the sim(s) that own said retail store. Adds any amount of money. All homes are temporarily free while the cheat is active. Enter cheat in the Neighborhood screen. If purchased, beware of the Taxes in these lots. 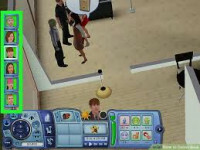 Hides all Sim overhead effects such as plumbob, thought balloons and speech balloons. Makes Acquaintances with ALL sims Note: Includes recently deceased sims. Takes a few seconds to complete. Move Objects on allows you to completely disregard all of the game's rules of object placement and place objects wherever you want. Set Sim Age to Adult Note: Exercise caution with this. Spawn a Friend for Me Note:Spawns a sim on your lot with a 50% friendship status with your active sim. Subtracts any amount of money. Turns the frame rate display in the bottom left corner. 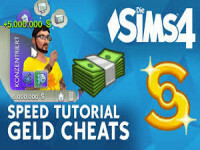 These codes require activating the testingcheats code, and then shift-clicking on a Sim or object or on the ground for the Teleport Sim option. Edit the hospital, police station, etc. 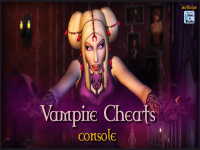 First, make sure you have activated the testingcheats code (testingcheats true/testingcheats on). Open the console menu and copy/paste the code below and edit "PlayedSimFirstName PlayedSimLastName" with your Sim's information and then "TargetFirstName TargetLastName" with your target Sim's information and a number between -100 to 100. Note that this will only change how your Sim feels, not the NPC Sim. 7. Enter the following data into the console (CTRL + SHIFT + C) and fill out the code with their respected skills. Using the console you can enter the codes below for this cheat, this requires "Testing Cheats". This will automatically set the skill level of your current active Sim. Make sure to replace the with the available options below followed by the level you wish to set it to. Result: Will set your Logic skill to Level 8. 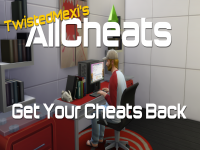 AllCheats - Get your cheats back!